It has been a very, very, very long time since I made a blog post. Falling behind a few days quickly becomes weeks and then months. It’s remarkable how easy it is to build a huge backlog of photos to go through. When they build, it just gets bigger. This last year held many events that made posting to the blog fall to the low end of the priorities. Not the least of which was losing roughly 7 months of photographs from what I felt was my best photography to date. It’s time to jump back on the saddle again and resume posting – too many amazing critters out there not to share. From the middle of February through June 1st of this year I had the pleasure of competing in the Wildlife in Focus competition. I’ll explain a bit more about the contest in future posts, but it’s a great contest held in southern Texas to foster the appreciation of wildlife and the protection of habitat. It’s a unique competition in that all photographs submitted must be taken on the property you are assigned to during the contest period. There are categories for nearly all varieties of wildlife and even with a three month shooting period you always feel there isn’t enough time to capture the 100 photographs you will submit. It was great fun and a wonderful chance to improve skills. The results are announced in September, but for now I’ll introduce some of the critters and photographs that I chose not to submit. While not good enough for submission, many of these images are still quality images in their own right. 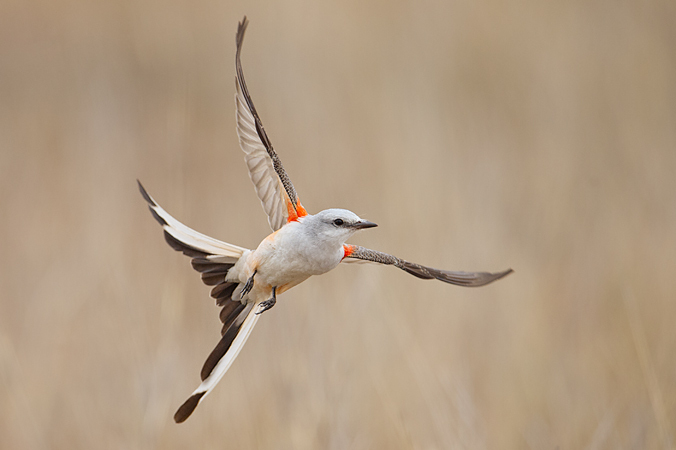 One of my favorite subjects definitely has to be the Scissor-tailed Flycatcher. This bird is stunningly graceful combined with an active personality. To make matters even better, this bird was rather brave and approachable. These gems were everywhere – I would estimate the population in the 100s on the property. The last thing I wish to say is that photographs that I captured all owe an incredible amount of thanks to the Sick Dog Ranch. The support and assistance I received from ranch owners Mitchell and Michael Dale and the ranch manager, Rick Forrister, was tremendous. In addition to providing me access to over 7,000 acres of amazing south Texas scrubland, they also provided me with advice and assistance countless times. The Sick Dog Ranch is a gem of Texas’ Coastal Bend region.